Installing soakwells helps to prevent harmful flooding to occur on a property. When investing your hard earned money into a new house, you would want to keep that property in a good condition and not have it eroding away due to rainwater flooding because of insufficient stormwater drainage. We highly recommend layered compaction with any installation to ensure the prevention of sinking soil, sinking landscaping and sinking paving. 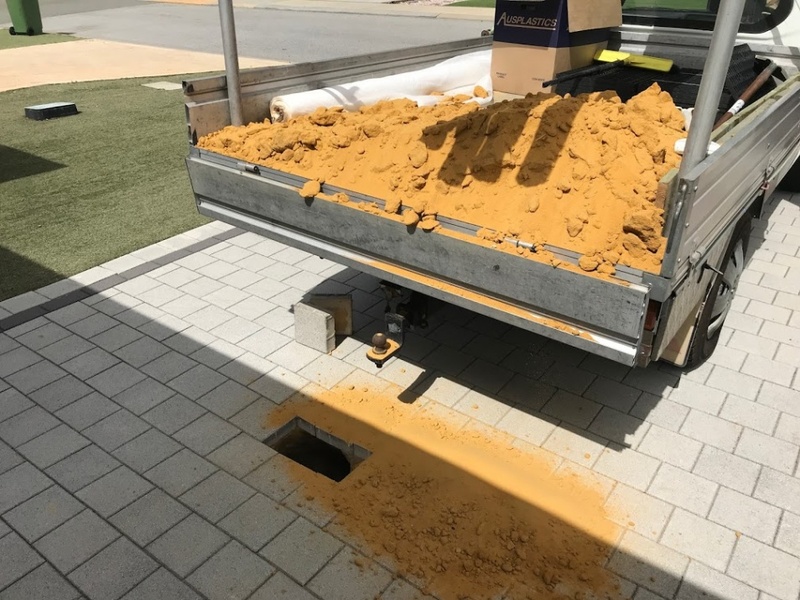 After the stormwater tanks have been installed and is buried beneath the ground, the soil is not compacted which means there are lots of air cavities (air pockets) in the soil surrounding the soakwells which cause unwanted problems when landscaping and paving takes place. With each rainfall the un-compacted soil will eventually sink further into the ground and cause any paving or landscaping above to sink too, ultimately causing a visible depression or even a hazardous cavity which can cause injury. To ensure the best quality installation Perth Soakwells always recommend layered compaction. Layered compaction takes a considerable amount of time. As we backfill the stormwater tanks we use water and a plate compactor for approximately every 300mm of soil to ensure the best quality compaction. Call us about your soakwells and compaction requirements today.